Stop what you are doing and go make these. Immediately. When Jimmy and I were away last weekend, we went to the neatest book store. 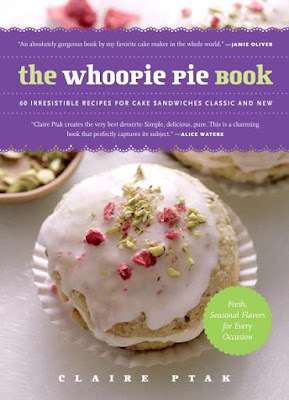 I picked up a copy of Claire Ptak's whoopie pie book, thanks to my newfound whoopie pie obsession. 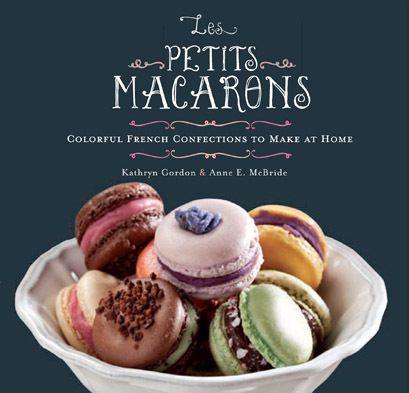 As I flipped through the book, I realized there was an easy macaron recipe in there and knew that was a sign that my desire to jump on the macaron bandwagon should come to fruition immediately. I can hardly pull myself away from the macaron mess to make more exquisite whoopie pies. I love how beautiful and how endless the possibilities are; it was pushed to the back of my mind to conquer macarons because of a misconception about their difficulty. Do not be afraid - they are easy and beautiful. In your food processor, blend the sugar with the cocoa powder and the ground almonds for about three minutes, scraping sides and bottom if necessary. Sift into large bowl and set aside. In separate bowl, whisk the egg whites (do not do what I did, use a mixer) with the two tablespoons of confectioners' sugar until soft, billowy peaks have formed. The mixture should be smooth and glossy. Fold half of the dry ingredients into the egg whites, then fold in the remainder. Transfer mixture to a piping bag or a ziploc bag with a 1/4 inch tip. Imagine the size of a Hershey's kiss - pipe circles about two inches apart. You should have about 20 on each baking sheet. Let sit for thirty minutes so the edges and tops are dry. Place in the oven and immediately turn down the oven to 350 degrees. Bake for two minutes, then reduce temperature again to 325. Bake for two minutes, and turn down one more time, to 275. Bake for four more minutes (eight total) and remove. Place chocolate in a large, heatproof bowl. Set aside. Put the water in a heavy-bottomed saucepan. Add sugar and heat gently to dissolve. Once the sugar has dissolved, turn the heat up to bring to a boil. Cook until the caramel is a dark color. Whisk in the cream. Add the butter and salt; whisk until smooth. Pour the caramel over the chopped chocolate and whisk gently until smooth. Allow to sit at room temperature for two hours, until it's a spreadable consistency. Store in refrigerator. 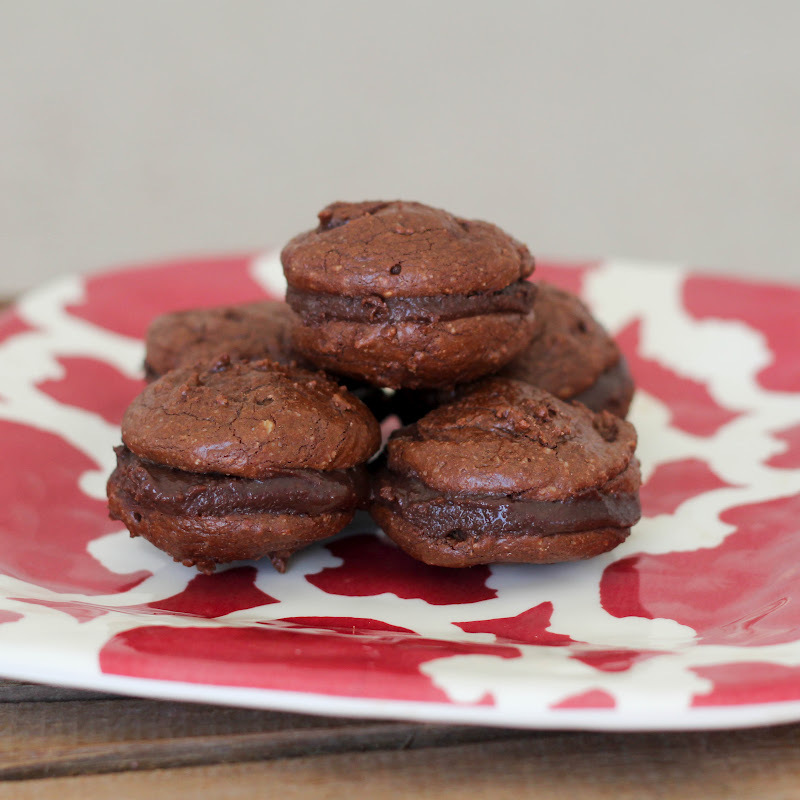 Spread a generous amount of ganache onto cooled macaron. Top with another. 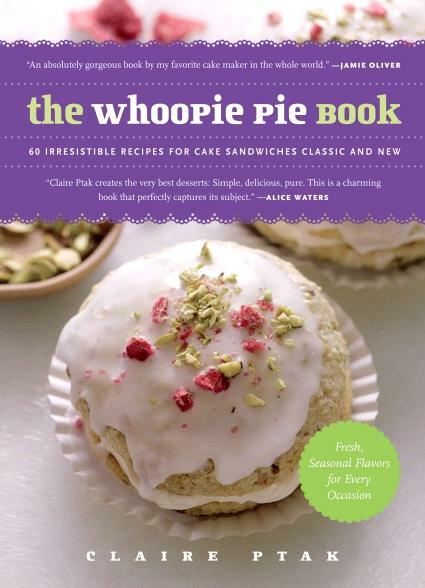 Want your own whoopie pie book or macaron book? 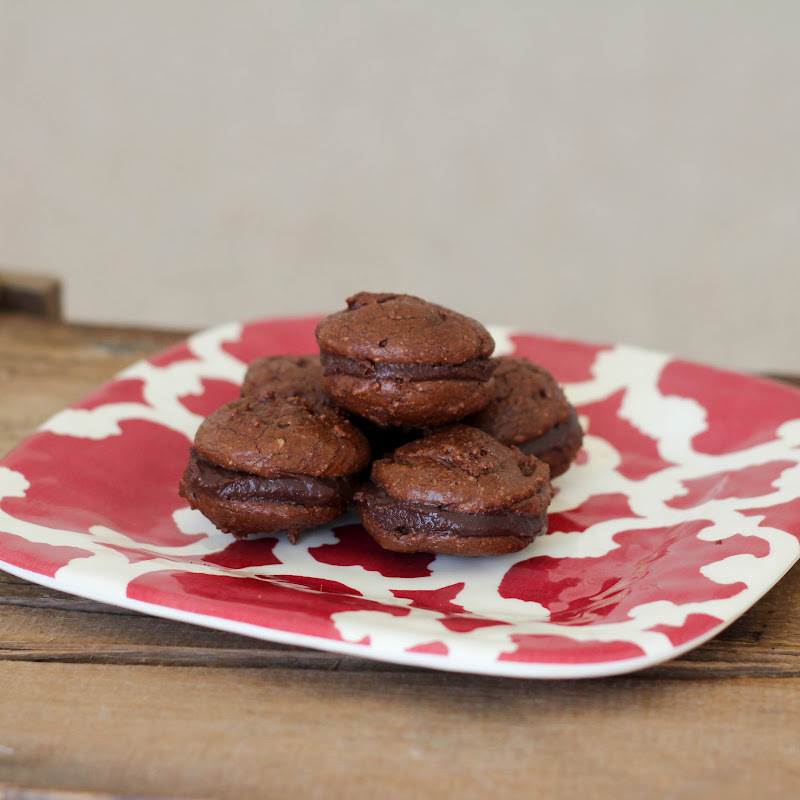 Just leave a comment on this post and tell me what your dream macaron or whoopie pie flavor would be. Deadline to enter is Monday, February 20, 2012 at 10 pm ET.